A record-breaking UCAS day: The ‘Cox effect’? This week, we ran our biggest and busiest ever UCAS day; well certainly the biggest in my memory, and I have been at the Surrey Physics Department for a very long time. Put it this way, in my earliest departmental photos I had hair, and lots of it. Even my mother can’t remember me with hair! So, I can state with some authority that I have never known our physics department to be quite as popular and thriving as it is now. During my first stint as admissions tutor for the department (1999-2003) I recall years when our application number just hit 300. Last year was, I think, our record year for the number of UCAS applications we received: 320. This resulted in a healthy cohort of about 65 excellent students, all coming in with A-level grades around the AAB-ABB mark and in many cases higher. But then last year was a bumper year for many universities and subjects; after all, it was the last year before the big hike in tuition fees came in. Everyone was anticipating a sharp drop-off in application numbers this year, and this has indeed happened across the country and across pretty much all subjects. But not, it seems, in physics. Hurray. Applications to study physics at Surrey are up 39% on last year already. For the first time in our history, we have broken into the 400 bracket (the number of UCAS applications). This means a record cohort of 80-90 students starting this Autumn. Physics is undergoing something of a renaissance at the moment. Suddenly it has become cool. And it is not so easy to put a finger on why this has happened. Of course, Surrey is not the only University that has seen a rise in numbers over last year. I know that other places, like Sussex, Exeter, York and Nottingham have also seen an increase in physics applications and I wouldn’t be surprised if many others have too – although Surrey’s 39% is pretty remarkable. So why is this? 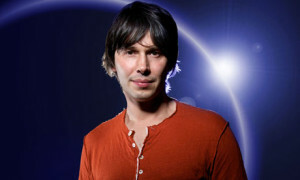 Is it as simple as the so-called ‘Cox effect’ (Referring to the popularity of Brian Cox and his BBC Wonder series on TV)? One school of thought has suggested that the popularity of subjects like science and engineering, in contrast with what one might call ‘softer’ disciplines, is due to students being more attuned to what they might wish to get out of their career. If they are to be straddled with crippling debt after graduation, then they might as well study a subject that is more likely to lead to a solid career with a decent salary at the end of it. But is this really what drives students in their choice of subjects to study? I don’t think so. Actually, the rise in popularity of physics is more likely to be due to a myriad of different factored that are all part of a general trend. Over the past few years we have seen a steady increase in the public’s appetite for science in the news, on TV and radio documentaries, online, in books and magazines and more broadly in popular culture. In 2010, the BBC had their ‘Year of Science’ to coincide with the 350th anniversary of the Royal Society. The science output of the BBC rose dramatically, but it was much broader than just physics. Could it be the Cox effect at work? Many commentators have argued that Brian’s first series, Wonders of the Solar System, only came out in May 2010, after the current crop of physics applicants would have made their A-level choices (and students taking A-level physics has of course seen a significant rise). It is in fact, more sensible to think of cause and effect the other way round – that the BBC reacted to the public’s interest in science, and physics in particular, by commissioning more science programmes. Witness the wide interest in September 2009 in the start-up of the Large Hadron Collider in Geneva. For a while everyone was talking about it, even if it was whether a large black hole would be created, which would swallow up the entire planet. Personally, I think one of the most important factors has been the huge popularity of the American sit-com, The Big Bang Theory, in which the geeky lead characters are physicists lacking somewhat in social skills, and yet are endearing and even regarded as ‘cool’ by teenagers. I am finding for the first time that my own students are saying they no longer feel embarrassed to tell people in the student union bar or at parties that they are studying physics. So maybe it is the ‘Sheldon effect’. It seems science is finally becoming embedded into popular culture, and people are able to engage with and discuss some of the exciting ideas in science just as they might enjoy and discuss art or music or films. Not everyone can or wants to solve Maxwell’s equations of electromagnetism. But many more people than we ever thought possible are prepared and eager to listen to a physicist explain some of the wonders of our universe, whether they are cool celebrity, ex-pop star, physicists or just your average Joe physics student trying to chat up the pretty young nursing student. Jim, you shouldn’t forget the Al-Khalili effect! Whenever I say that I am a physicist people ask me if I know about all the cool stuff that Prof Al-Khalili describes on TV! of course they think I am kidding when I say that you taught me! It is definitely becoming easier for us to actually say that we are physicists, and employers do value our skills. People don’t automatically assume that I am a geek anymore. Thanks for this nuanced article that recognises that number of factors are at work here. Its really heartening to see an increase in Physics applications, I hope it is reflected across the range of science and technology subjects, and I also hope the resulting graduates are of a high calibre and up to the task of taking the UK’s technology base well into the 21st century. Even if the graduates were to be not of a high calibre, or not working in technology, I think it’s still healthy for society to have people at large who understand how the physical world works. Of course, anyone wishing to explain a rise in applications to chemistry departments will have to cite the Al-Khalili Effect.